Loan Default - How to avoid it? You are here >> Home >> Personal Finance >> Loan Default – How to avoid it? Loan Default – How to avoid it? Loan Default is not good for both the borrower and the bank. The loan default increases Bank NPA’s and negatively impact the CIBIL Score of a borrower. The default can be intentional or unintentional. If Loan Default is intentional, then nothing much can be done in this regard. Unfortunately, banks treat both sets of defaulters with the same stick. As i mentioned in my some of the previous posts that concept of credit counseling is not common in India. Your loan manager is all in one who may or may not be in a position to guide you. In the case of Loan Default, a borrower is left in a lurch, and there is no one to guide him. The FREE information overload from friends, family members and colleagues further confuse borrower. There is a famous saying that prevention is better than cure. 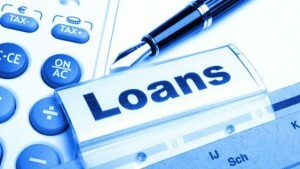 As a borrower rather than landing in such an undesirable situation, you should plan your loan well. Any planning is not 100% fool proof as you cannot rule out unforeseen circumstances. Therefore, experts suggest revisiting your financial planning every 12 months to fine tune the same. To avoid Loan Default, you should not run after easy money. We will discuss it later. Secondly, it is important to do a 360-degree evaluation before any loan. For example, in my previous post, i shared how to check the impact of a loan on your CIBIL score. Most of the borrowers avoid Loan Default only for fear of its negative impact on CIBIL score. It is good that fear of CIBIL score keeps Loan Default under check. In my opinion, CIBIL should not be the only fear factor. Any default means that personal finances are in deep trouble. It’s a ripple effect or chain reaction. The entire financial planning chain is linked to each other. A break or crack in one link can cause breakdown of entire financial Eco-system. Therefore, it is important to plan any credit facility in advance. This planning cannot be done after availing loan but only before availing the same. Let’s check how you can plan to avoid Loan Default. (a) Discuss with your Family: Trust me no one can guide you much better than your family members. They are very well versed with your financial condition. It’s a misconception that Loan Default only impacts the borrower. It also affects the family members directly or indirectly. For any fruitful discussion on this front, it is imp to know the repercussion of effects of Loan Default. For example, in the case of home loan default, the bank can auction the same. Once you know the result, then only you can plan it better to avoid any Loan Default. Also, remember that it is mandatory to include a co-borrower especially for a home loan and education loan. Therefore, any Loan Default will impact CIBIL score of two people & mostly family members. In the case of spouses, it will close the door for any future credit facility. (b) EMI: To avoid a default it is important to keep EMI to net income ratio at less than 50%. Different lenders have a different criterion to fix loan eligibility. Some are liberal, and others are harsh in fixing the loan eligibility. Usually, borrowers tend to lean towards lenders who are willing to lend more. In short, some lenders allow EMI to income ratio of up to 60%. Trust me it is a first danger sign. The comfortable level is normally 40%. Therefore, you should never allow cumulative EMI outflow to exceed 50% of net take home salary. (c) Contingency fund: As i keep highlighting that borrowers should maintain 2 type of contingency funds. One for six months household expenses and second as a reserve for next three months EMI. This fund should be liquid and parked in instruments like Liquid Debt Funds, FD’s or Sweep in Savings account. In short, always ensure that it can be liquidated within 1-2 working days. Contingency fund ensures regular EMI payment in case of a financial distress. (d) Past or Present Default: In case, before availing a new loan if you found difficulty in EMI payment or managing household expenses in last 12-18 months then you should postpone your decision to avail a fresh loan. By availing new loan, you will invite fresh financial trouble for yourself. At a macro level, a potential borrower should have a comfort level in managing existing financial situation. He also should have visibility to cut down various non-necessary expense heads for EMI payment. You can practice the same for 3-6 months before you avail the loan. For example, you can leave aside EMI amount every month and manage household & other expenses from balance amount. If you complete this exercise successfully, then it means you are ready for a loan. (e) Liabilities: If you are foreseeing any future liability in next 18-24 months then you should postpone your decision to avail the loan. Some of these liabilities are planning to extend family or college admission of a child etc. Another solution is to keep a sufficient provision for near-term liabilities to avoid loan default. One of the major unforeseen circumstances is when the spouse stops working after extending the family. It’s double a whammy as there is a loss of one income and secondly, expenses are unplanned. Therefore, it is imp to discuss all possible scenarios with your family members. (f) Job Stability: Let me very honest on this front that most of the Loan Default are the result of a job loss. A borrower is in a better position to judge the job stability. It’s a misconception that if you are a top performer or received award recently then you cannot be laid off. You may check my post, Can you rely on your job?. Therefore, you cannot go wrong with your evaluation of Job Stability. Though no one predicts future, if you are sure that your job is stable for next few years then you may go ahead. Otherwise, job loss is always followed by Loan Default and then situation goes out of control. Words of Wisdom: Let’s accept the fact that it is not possible to address all foreseen and unforeseen circumstances responsible for Loan Default. At max, we can plan well to prepare for those situations in a better way. Always remember that good credit practices can reward you in the long run. You should not overstretch your finances under any circumstances. In the case of slight doubt, you should play safe because there is No U-turn in the event of loan default. Banks are stricter on NPA, therefore, is no escape for the borrower. In next post, we will discuss what to do in case of default on the loan. How to handle such situations to minimize the damage along with do’s and don’t. Hope you liked this post.